I wrote this article a few years ago and I think it still resonates today. If you’re a swim parent, your kids can swim in college and it will add to their experience most definitely. 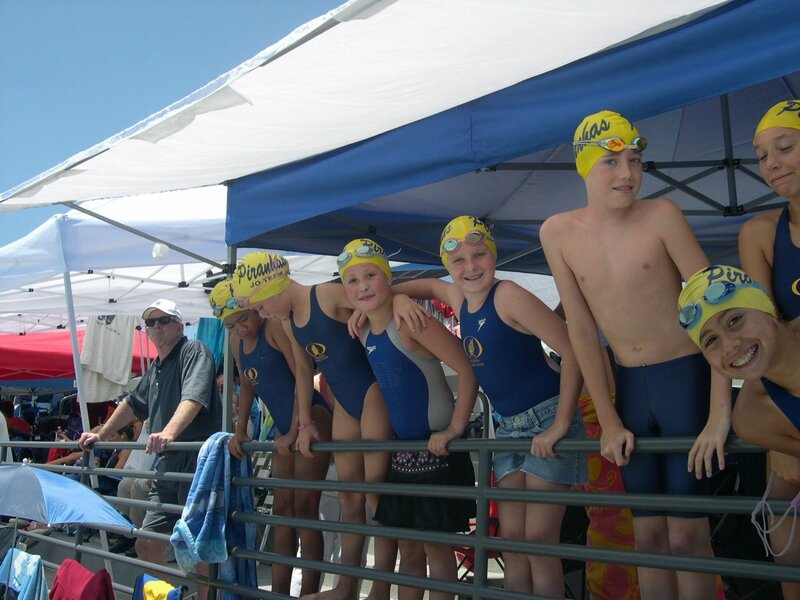 My kids and their teammates at a meet in Irvine a few years ago. 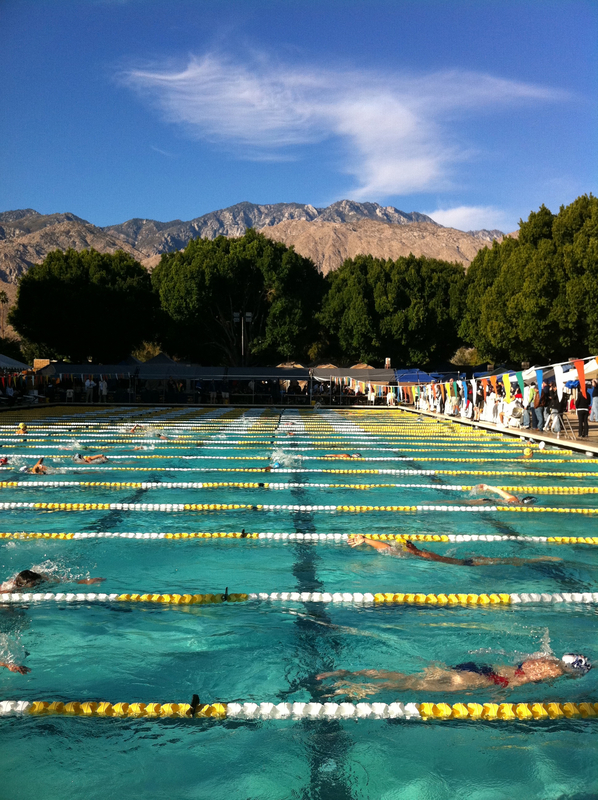 I read an interesting article today on my favorite website, SwimSwam. 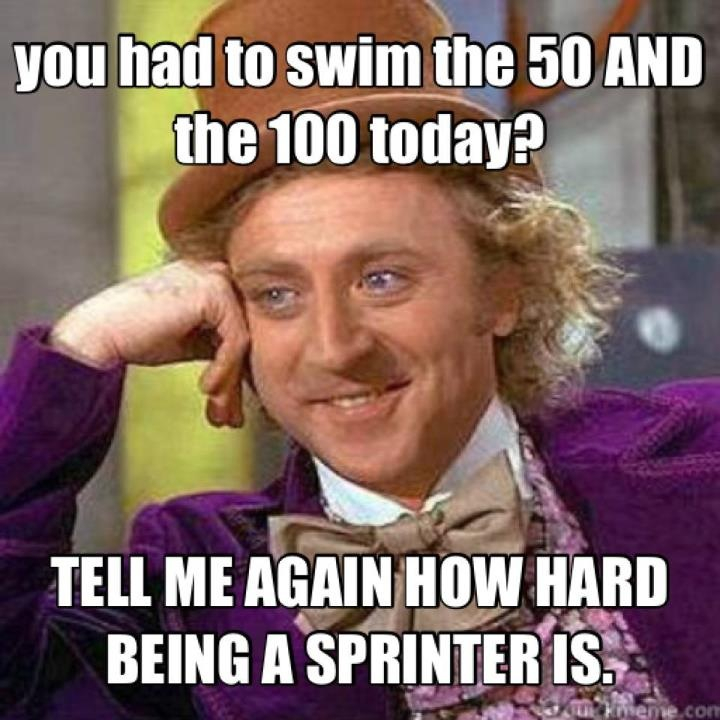 It was written by a college swimmer encouraging high school swimmers to swim in college. It’s very inspirational you can read it here. His story reminded me of my own kids. I wish he was a few years older and could have talked to my son, who also thought he wasn’t fast enough to swim in college. My son, who is now in is fourth year at college, refused to talk to any swim coaches while we were looking at schools with him. We tried to encourage him, but he didn’t think he was good enough. Or, that he liked swimming enough. In our opinion, as parents (what do we know anyway, right?) he had a beautiful stroke and he had always loved swimming. It seemed natural to us that he’d want to continue with his favorite sport. We also knew swimming could open doors for him. It couldn’t hurt for him to communicate with swim coaches at some of his dream colleges, right? We had looked at swim times and he would have fit in nicely at a lot of them. No, I’m not talking about Cal or Stanford, which he applied to, but are in the higher echelons of D1 swim teams. His other top schools that are very selective academically had men’s D2 or D3 teams. But, no. He did not listen to us. His senior year, he received rejection letters from all of his top schools. It’s really a numbers game and there are millions of talented, smart kids competing for those college spots from not only the USA, but from all over the world. He is enjoying the school he landed at. But, it was an adjustment at first. He wasn’t happy being there. He was all alone. Now, in his fourth year, he loves it. He’s swimming again, on his own at the student rec center. He missed swimming. 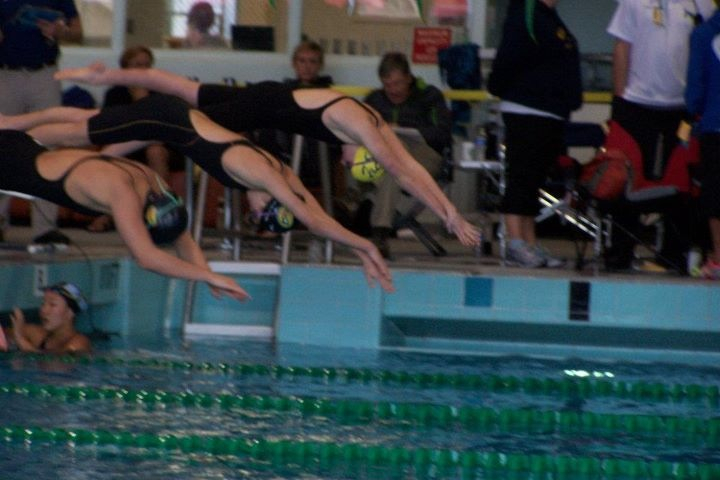 In contrast, my daughter who’s a freshman, was recruited for swimming. What a difference her entire college decision process was. She loves her college team. The entire team knocked on her door with goodies for her, while we were moving her in. They had team activities during the first few weeks, like barbecues, and volunteering to hand out balloons at a football scrimmage. The team made sure that the freshman felt the love. My son told me recently that he sat alone in his room watching Netflix, too shy to join in the freshman welcome activities. Last July, he came with us to watch his little sister swim at a big meet. His eyes opened when he saw coaches from all across the country there recruiting. He saw some of his top school choices. It was like a light bulb went off. He did what he wanted to do at the time, though. 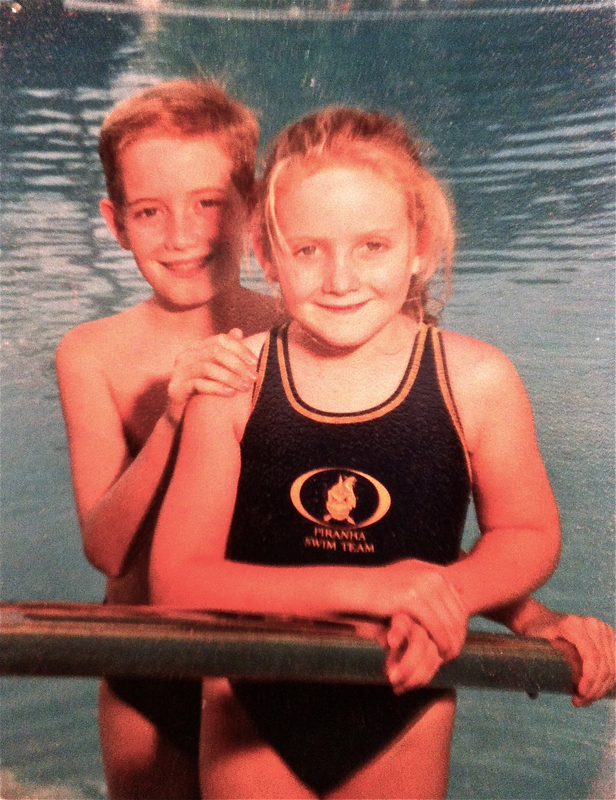 One thing about swimming or any sport — it has to come from your child. We may think we know best, but in reality it has to come from them. My kids a few years ago on photo day for the Piranha Swim Team. An article I wrote yesterday, which I viewed as non-controversial, got some people stirred up. I wonder if people actually read my words, or if my writing was so far off that I failed to get my intended message to readers. In any case, I guess it’s good to get comments, although several took me by surprise. I tried to express that we as parents are all different. 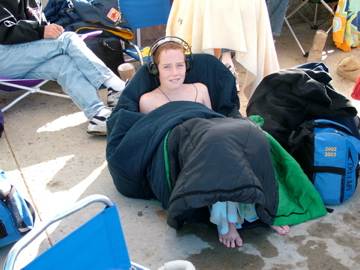 In my early years as a swim parent and board member, I had expected everyone to be as enthusiastic as I was about being a swim parent and our team. Obviously, there are all sorts of parents and flavors and degrees of interest kids and families have. A few comments I heard from other swim parents years ago took me by surprise. I hadn’t realized how these friends viewed swimming much differently than me. Throughout the years, we’ve had several head coaches. Some relied heavily on parents involvement and others liked to handle things without parents chipping in. Neither approach is right or wrong. And as parents, we had to figure out what level of our involvement was desired. As the kids got older, we helped out less and less. 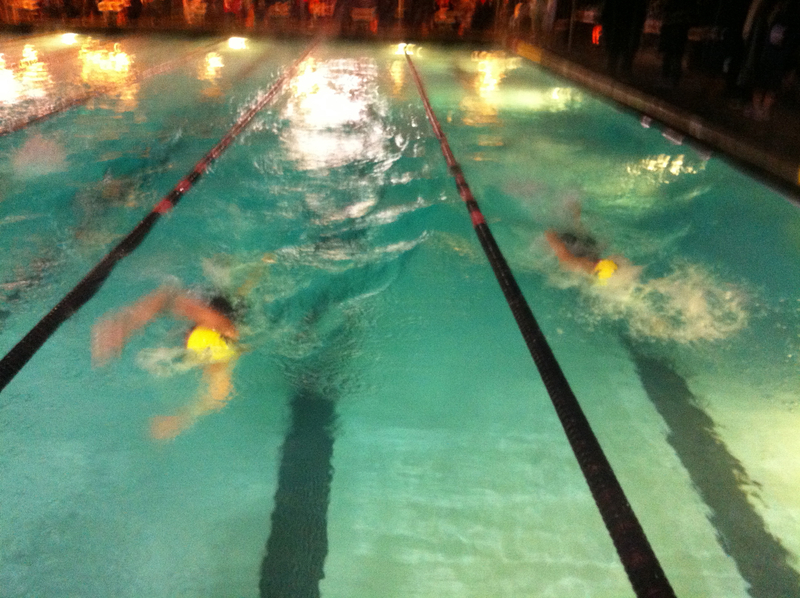 Yes, we fulfilled our obligations but being a board member or running swim meets no longer was required or desired. We weren’t on deck for every practice anymore but went for long walks during the kids’ practices. Talking to my son, he said he liked it when we were involved. That made me feel appreciated and good about the years we volunteered. In any case, it was a pleasure and joy to be a swim parent, through the ups and downs. I don’t regret any days of it. 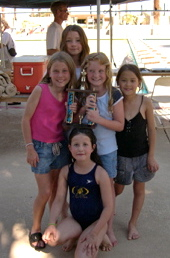 I developed so many great friendships that will continue long after our swim parenting days are over. My daughter, best swim buddy and early coach. If you’re interested, here’s a link to the article that stirred up so many comments: The Swim Parents I Couldn’t Understand. I’d like to get your feedback on it. too. This was one of my first blog posts. This is also one of the pieces that I wrote about how positive swimming has been for me, my husband and kids. I hope you enjoy it! “Are you kidding me!” She said looking at the scoreboard to see her missing the coveted junior national cut by mere tenths of a second after dropping three full seconds on an 800-meter freestyle race. The next race, she said, “I’m so done with this!” She dove in with more determination than ever, and yes, she made her cut, dropping seconds on her 200-meter free and coming in second place to one of the fastest girls in the country. You can listen to his show on kcsb here Fridays at 4 a.m. PST.